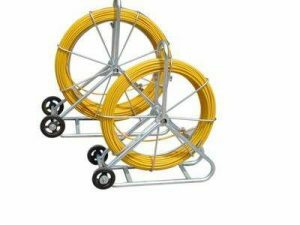 How to use FRP duct rodder, how to wear holes in the FRP. Let’s do some research on this issue. First we have to protect the head of the machine. Most of them are plated copper with threads on them and must be tightened, otherwise they will be broken. Then threading, you can use the pulley. Perforated material should be hard and brittle material, so the curvature is not less than sixty, if the pipeline or other construction environment, the degree must be less than ninety degrees. The third step is the duct rodder withstand the temperature can not be lower than minus 40 degrees, higher than zero on the eighty degrees, encountered in the construction of any when, need to avoid sun exposure or rain wash. The fifth step is the maximum perforation tractor can not be higher than 2.5 tons, otherwise there will be fracture, will affect the use of time. In order to be able to make Hebei FRP duct rodder, we must seriously work with good pulleys to protect the threader, so as to improve efficiency and extend the service life.